When we think spring, we think sun. Nothing beats the feeling of donning your sunglasses and walking with the wind blowing in your hair after having to hide indoors all winter long. 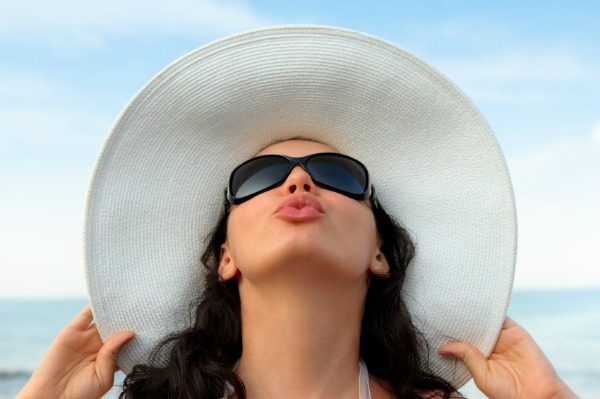 Sunglasses and hats are essential spring/summer accessories, but they can be quite costly. A sunglasses/hats swap will update your spring collection for free. A swap is not a secret Santa! You do not need to buy anything new. The whole point is for you to get rid of the sunglasses and hats you do not want to wear, or will most likely not be wearing, and swap them for “new” ones so you can update your spring collection. Whether you want to do this with your circle of close friends or turn it into a school, work or neighbourhood event is up to you. But to make it work, you need to let other women know, so they can start gathering and planning. If you want to host a swap in your neighbourhood, you may want to consider posting signs around your area, just like those used for a garage sale. You can also create a Facebook event in order to widen the circle of those who might be interested. You can make your own rules; just be sure to make them before everyone arrives. In case of a larger event, you might want to limit the quantity to two sunglasses and two hats per person, in order to make sure that all is fair and square and everybody benefits from the swap. It is also important to think objectively. As exciting as it can be to pick up new things, will you really use that pair of neon sunglasses or straw hat? The whole point of this swap is to add variety to your spring collection, not to add more clutter or go home with more junk. A good rule of thumb is colour: You might be in love with that orange hat, but does it match any of your outfits? Try the sunglasses on, try the hats on, and be smart about your choices, so that you can enjoy your sunny, spring days in style. Update your look with unused items: Spend nothing!